Stagecoach Newcastle are running a Euro 6 demonstrator in service. 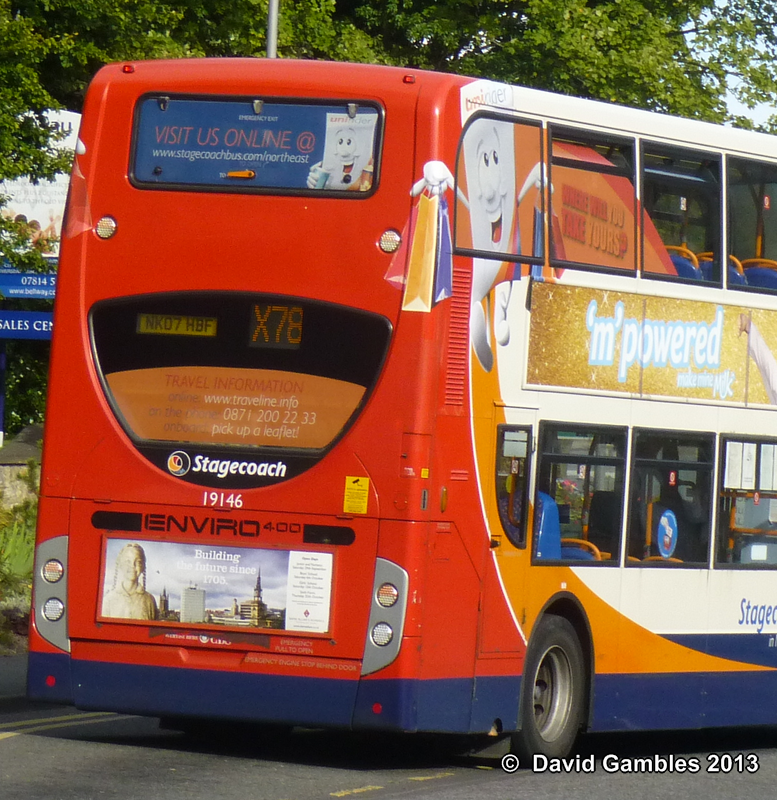 The Enviro 400 (fleet number 10000) was originally operated by Stagecoach Manchester until transferring this week to Newcastle where it is scheduled to operate for at least 6 months. The vehicle will run initially on the 38 route. It is seen above & below on it's first day in service in Newcastle. The Euro 6 version of the Enviro 400 has an extended rear overhang and drivers have been alerted to the fact that the out-swing will therefore be greater when turning left or right. A picture of a standard Enviro 400 is shown opposite for comparison. The bus has operated in Manchester since new, see below.